The Goethe-Institut is the Federal Republic of Germany’s cultural institution operational worldwide. We promote the study of German abroad and encourage international cultural exchange. We also foster knowledge about Germany by providing information on its culture, society and politics. With our network of Goethe-Instituts, Goethe-Centres, cultural societies, reading rooms and exam and language centres we have played a central role in the cultural and educational policies of Germany for over 50 years. We draw our information from the many sections of our cosmopolitan society and culture, combining the experience and ideas of our partners with our cross-cultural expertise. We work on the principle of dialogue and partnership, offering our support to all those actively involved with Germany and its language and culture. We are an autonomous body and politically independent. We embrace the politicocultural challenges of globalisation. We achieve this through communication, developing innovative concepts for a more humane world where cultural diversity is welcomed as an enrichment of our society. Our partners are public and private cultural institutions, the federal states, local authorities and the world of commerce. 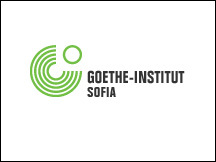 The Goethe-Institut has an overall budget of approximately € 278 million at its disposal. Much of this consisits of yearly grants from the German Foreign Office and the German Press Office. Our relationship with the Foreign Office is governed by general agreement. Self generated income and contributions from sponsors and patrons, partners and friends broaden the scope of our work. The Goethe-Institut carefully coordinates its activities with other mediators of cultural and educational foreign policy.